Anyone can apply for an Antipode Foundation Scholar-Activist Project Award (including academics and students, and activists of all kinds), but the grant must be held and administered by a host institution (these could be research, higher education or community-based institutions, though it is expected that university facilities will be used to support the project wherever possible). Projects must take place within the year of award; in this case between 1st August 2019 and 31st July 2020. Those who have already received funding for a previous project are not eligible to apply for another. Events such as conferences, workshops, seminar series, summer schools and action research meetings are not covered by this award; they are funded by the separate Antipode Foundation International Workshop Awards. It is a policy of the Antipode Foundation not to pay university overheads and indirect costs, or university staff salaries and oncosts. There is an established convention in the UK and elsewhere that grants paid by charities generally cover only a proportion of the work to be done, with institutions finding the remainder from other funding sources. Our grants are exclusively for the promotion and advancement of social scientific research, education and scholarship in the field of radical and critical geography. Application forms are available here or from the Foundation’s Secretary, Andy Kent (antipode@live.co.uk), and should be returned to him before/on 31st May 2019. All applicants must read and acknowledge the Foundation’s transparency notice. This notice sets out how we use and protect your personal information. In order to consider your application we must send it to our Trustees, some of whom are based outside the European Economic Area (EEA) including in jurisdictions where personal data may not have the same protection as within the EEA. This is a necessary part of the application process. By submitting your application you agree to it being sent to our Trustees outside the EEA in accordance with the transparency notice. 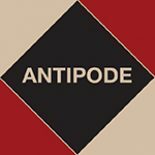 Applications will be considered by a panel of Trustees of the Antipode Foundation, and all applicants will be notified of the results in late July 2019. Unfortunately, we cannot give detailed feedback to unsuccessful applicants. Successful awardees should provide a short (one page) report one calendar year after receipt of the award. This should be sent to Andy Kent and will be posted on AntipodeFoundation.org in the interests of transparency and to encourage further applications. We also welcome more detailed reports, including photos, recordings, etc. for the website, and are happy to advertise projects throughout the year. The results of the 2012/13, 2013/14, 2014/15, 2015/16, 2016/17 and 2017/18 Awards, together with progress reports from the grant recipients, are available online. We invite all Antipode Foundation Scholar-Activist Project and International Workshop Award recipients to apply for “follow-on” funding after 24 months. There is a single £10,000 grant made each year; all Awards should have implications for praxis, and this grant–a “proof of concept” fund, so to speak–will support the most innovative and creative dissemination, enable outcomes to be further developed so their potential can be fully realised, and build durable legacies. This is a great initiative. Many unjust things happens because people are silent, but those who need to speak up, may not have the resources and the ability to do so. They struggle with their own daily problems. A world where people are equal will be a safer world, and that is what we all aim for. It may be time for an other logic to be implemented in our thinking, one that is not founded on profit. For that to happen, more people must speak up, and supporting projects that encourage that to happen is what we need.